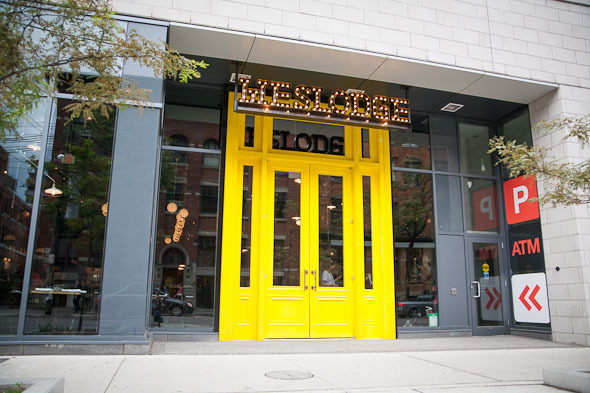 Weslodge Saloon announces its entrance with an illuminated, slab-lettered marquee and electrifying yellow doors. The restaurant, which opened last week at the base of the soon-to-be-complete Victory Condos, occupies the address on King West that was formerly home to the Mini dealership west of Spadina. Visually, Weslodge is a knockout. Inside, the space (designed by Munge Leung ) is decked out like an old rich uncle's trophy room (if only I had one). Antlers mounted floor to (incredibly high) ceilings and brass accents pay homage to the western theme, but its the majestic bar, oversized white cabinetry, and melange of patterns and textures that refreshingly bucks the prevailing trend for sparse, thrift store-chic decor. Here, the intent is to create something original and authentic, sophisticated but still casual; a modern saloon. At only a week old it appears that restauranteurs Hanif Harji and Charles Khabouth (whose collective portfolios already boast top dining destinations like Kultura , La Société and Cube ) have already found success with this concept. The restaurant is bustling and the bar is full. 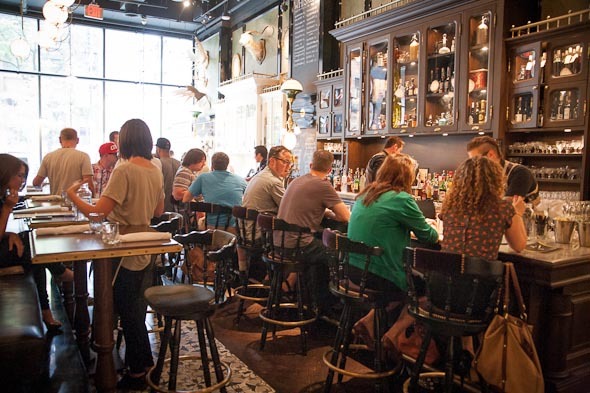 The servers, sporting fun leather holsters, seem unfazed, but they are both gracious and charming as they tend to diners and deliver impeccable service. In the kitchen, executive chef Stuart Cameron and chef de cuisine Kanida Chey show off with food that is heavily technique-driven, but also approachable and easy to eat. 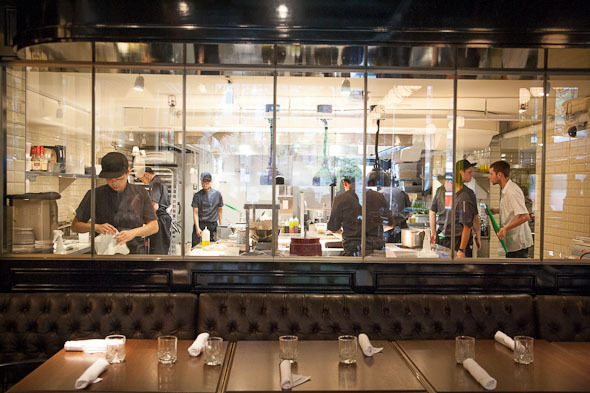 The menu offers a modern take on American cuisine at surprising value. 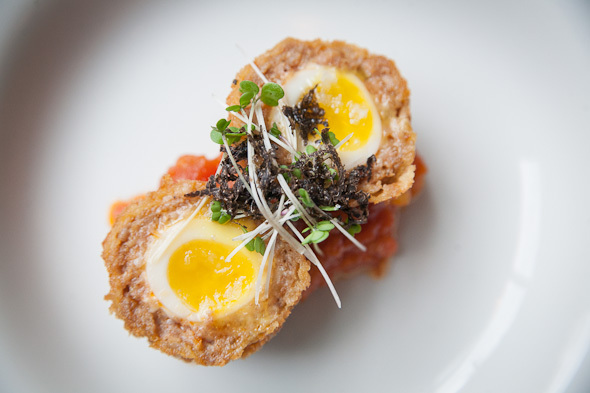 The Scotch Egg ($4) seems modestly priced considering it comes wrapped in chorizo with a soft golden centre that could only be the product of some incredibly delicate and arduous process. Sitting atop a bed of sweet tomato jam and topped with freshly shaved black truffle, the two-bite serving is delightful. 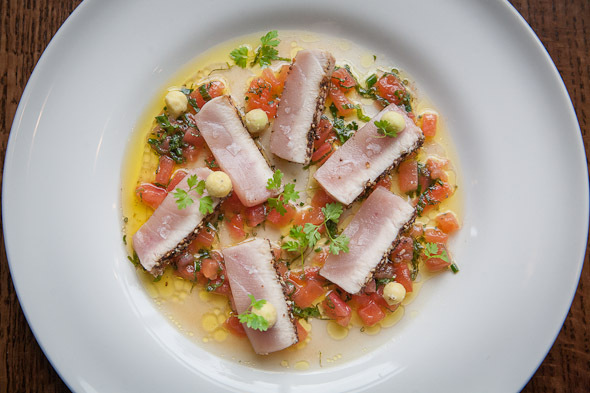 The Seared Bonito ($12) features albacore tuna crusted in Za Ataar spices and garnished with diced tomatoes, avocado pearls and citrus. It is an inspired plate that is as beautiful as it is delicious. The sous-vide Halibut ($26) arrives topped with crispy fried leeks and studded with clams and house-cured lardons. For dessert, each description is more enticing than the last. 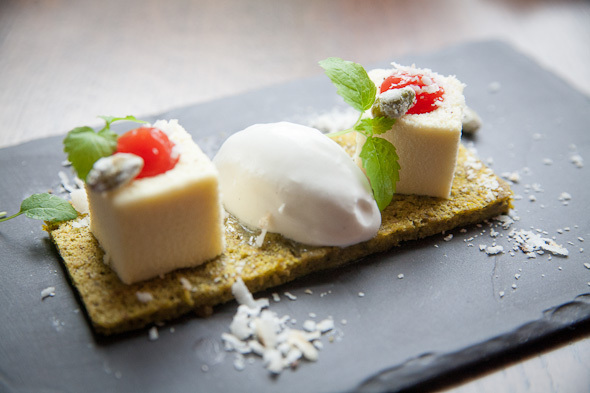 The Pannacotta ($8) is artfully plated with a base of pistachio, framing two coconut-dusted pannacotta cubes filled with blood orange gelée. 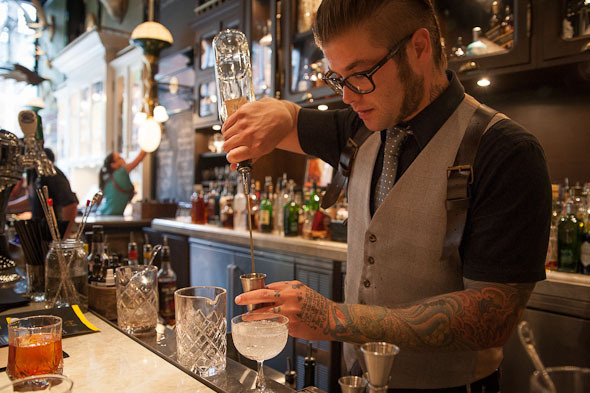 Like any good saloon, Weslodge features an extensive bar menu including cocktails by the glass or bottle. 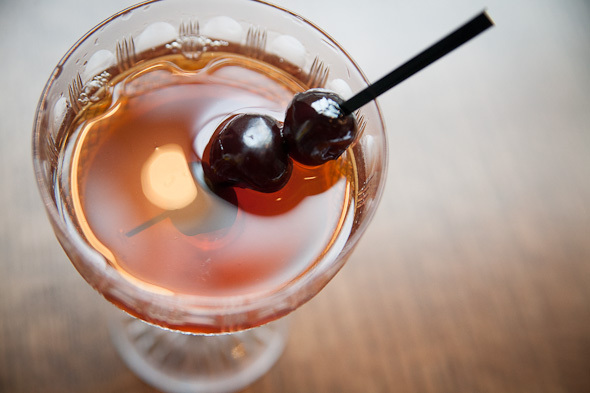 Behind the bar, Elan Marks (also from Harji's Kultura and Nyood ) crafts updated classics like the Tabacco Manhattan ($17/glass) made with housemade bitters and the Barrel Aged Negroni ($14/glass), garnished with a deep toasted orange peel. 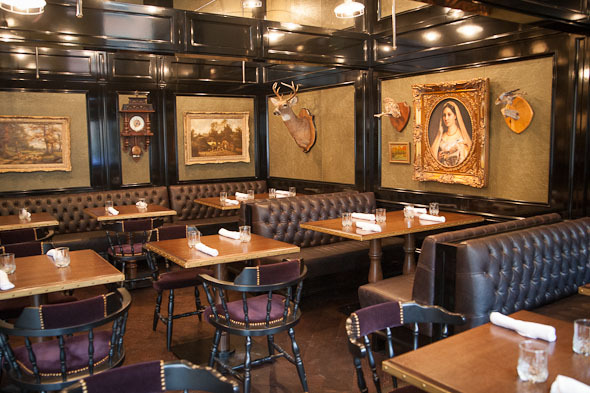 Open for lunch on weekdays, dinner seven days a week, and brunch on Sundays, Weslodge Saloon is certainly worth the visit. The exceptional food, service and atmosphere all make this a standout destination – even on an already vibrant stretch of King West.